Here at PokerTube, we’re always looking out for the common player. You know we deliver the best in poker news, gossip, and tournament updates, but the world of poker is a big one, and there is more to cover than the most recent scandal or the latest WSOP prop bet. 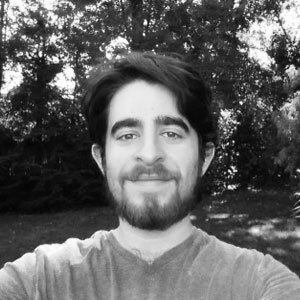 One question that we get a lot of here, and one that is probably on the mind of every rec and reg, is ‘Where should I play online to get the most bang for my buck?’ For those who need to make a living at this game, it may be the MOST important question, and for the rest of us, it’s still something very worth asking. While there is no correct answer to the question, across the heap of staff we have, we’ve managed to try an astounding number of different poker sites. Obviously we’ve played the big names *cough* PokerStars *cough* but we’ve also had the time and pleasure to examine most of the little guys. Long story short, we put our heads together and have created a list of the Top 5 Underrated Poker Rooms we’ve found over the course of literally millions of hands. If you are a fan of PokerTube, you have almost definitely heard the TonyBet spiel from us before. We have loved TonyBet since it first popped up on our Soft Site Radar, and since then, the staff have grown quite attached to it. I, personally, became a HUGE OFC buff after we discovered the site. Seriously, I can’t get enough off the game, and have been known to play hands between articles while at work. For those who don’t know it, TonyBet is a poker site named after the infamous pro player Antanas ‘ Tony G’ Guoga. While the big man himself spends more time at the political table than at the poker table these days, his site has not languished, but has in fact flourished as the name has gotten around. Though the site was first made to cater the the growing trend of OFC, it has since expanded into a full poker site, complete with all the classics in addition to this special offering. We love Tonybet for a few other reasons though, most of which revolve around their top notch bonus package. It may honestly be the best one available online. They have, to start off, a €2000 starter bonus where they double your first deposit up to that much. Obviously this is great, but this one isn’t unique. It’s the best out there, but plenty of sites are offering €2000. What is more unique – and hence, more important – is the €1000 bonus that they offer for refilling your account. This kind of deal is definitely harder to find, and a great benefit to anyone who sticks around. TonyBet offers a rakeback deal that starts at 25% but can get up to 80% for serious players, as well as a pile of freerolls and other offers. The site itself is also a dream. It’s got a great interface that’s easy to use and aesthetically pleasing. It’s also accessible to Android and iOS devices. More importantly than either of those things, though, is that for all the hype it gets, the players on the site are still soft, dangerously soft for this day and age. I thought the honest poker fish died out five years ago, but apparently it just swam over to an OFC table and kept on playing. As a final note, one of our partner sites, PokerVIP has a special promotion on if you’re interested in checking out TonyBet. Its called the Top 777 Rake Race, and it’s shaping up to be one hell of a race indeed. The idea is simple. Play on one of their partner sites and the rake you generate gets tracked byPokerVIP. At the end of the month, the top 777 generators will split $77,777. It’s that easy; you’re literally getting paid to play! 888Poker is the second largest poker network in the world and the second most popular network too, so you may be wondering how this poker giant made it to our underrated list. The truth is, even the second largest network in the world is dwarfed by the largest, Because it is not the biggest but also too big to be small and niche, it often gets overlooked. This is honestly a real loss as the site has a lot to offer. I tend to look at the site as a sort of underdog because of this tough position. However, it is this same hard spot that has pushed 888Poker to rise to the occasion. I particularly see this in how much attention they have given to both ends of the monetary spectrum. Whether you are playing for micro stakes or my entire salary on a single hand, the quality of the games and software is consistently top notch . I really like this as some sites seem to forget that the little guy is just as important to the poker economy as the high end regs, (I’m looking at you Pokerstars: Belgium). 888Poker’s goody bag is a bit unique as they have the means to offer things most other poker sites can’t. For example, 888Poker sponsors the WSOP so they host an incredible number of satellites for it and other major tournaments. They also offer SNAP games, their take on the fast fold style of play, (Zoo/Rush/Speed), and there offerings are some of the best available. Most importantly though, 888Poker has a promotion where they give you $88 free to play. You may be thinking, ‘Sites give away thousands of dollars free in sign up bonuses. What’s so damn special about 888Poker?’ Well I’m glad you asked/thought that. What’s so damn special is that you don’t need to deposit to pick up the $88 bonus. Let me say that one again in case you missed it; YOU DON’T NEED TO DEPOSIT TO GET THE BONUS. Wow, that’s probably the free-est money every given away on the internet. Remember that time that Archie Karas turned $50 into $40,000,000 in the span of three years? This is 76% more money to start with so you could conceivably make $52,000,000+ dollars if you play as well as he did, and you wouldn’t even need to pony up the starting bankroll. Anyway, I think that kind of giveaway is pretty cool. If you live anywhere in the UK or Ireland, you’re probably missing out on one of the nicest little sites available. I’m an American myself, so the following is hearsay, but my British peers speak highly of SkyPoker. What I have heard most is that the site is soft as a poached egg. That exact phrasing might not have been used, but that’s the impression I got. I suspect it has something to do with the limited player pool. That’s not a jab at British players mind you – Sam Trickett has made enough money on the felt to prove that the English can play – I simply mean that limited player pools force you to play with weaker opponents. This comes out of the search for full tables and the lack of a large player pool at any given stake. Because of these factors, players are more likely to move around and try different numbers while looking for there game. Any fish out of their water is food for sharks, and the poker table is no exception. In addition to soft players, SkyPoker has resorted to a number of promos in order to attract players. Because they are a smaller site, they cannot offer so many thousands of pounds, but they can get rather creative with what they do give away. First, they have another honest free money promotion in the £10 they give you completely free of charge to enter tourneys. This is a no deposit bonus, and you already know how I feel about those. They also have a summer giveaway on right now, a special some tournament series, double points for playing Sit&Gos, a special Final Table Jackpot for every tourney they run, and a Jump Start for anyone willing to play shorthanded. Sounds like a good time if you’re in the right neighborhood. 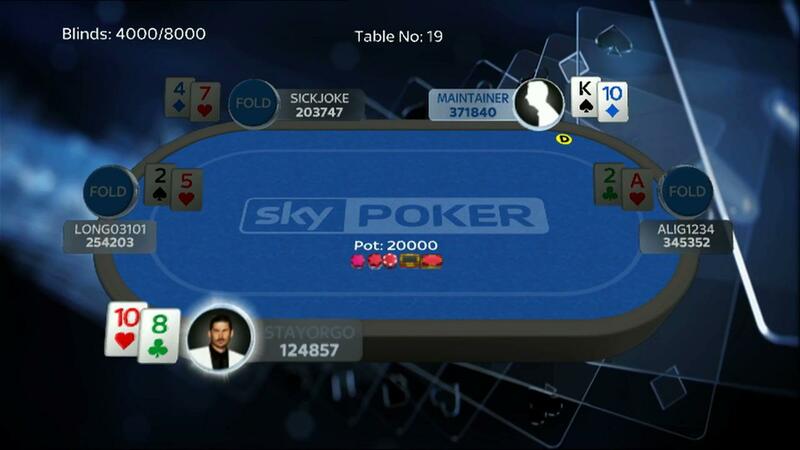 Best of all, SkyPoker somehow found its way into the PoverVIP 777 Rake Race I mentioned earlier. It’s already worth playing on, but those who go through PokerVIP get the sweet sweet added bonus of racking up points to split a big pile of extra money. Now, you may be thinking that I’ve touted the bonuses for every site on this list, and in a way that’s true. However, it's been relevant each time, and every site on this list has had something unique to contribute, either in bonuses or in something else. Unibet is the first to make it on bonuses alone for sheer magnitude. Seriously, if you click on their All Promotions tab, it will probably take you a full minute to scroll through them, the list is simply preposterous in its length. In fact, there are so many promotions going on that they’ve had to make full separate sections to list the promotions for each area of the site. At this very minute there are 9 sports promotions, 5 casino promotions, 11 poker promotions, and 7 bingo promotions in addition to their welcome package. Anything you could possibly do on the site can earn you money. Heck, itching yourself in the middle of a game is probably worth at least a buck. Unibet is also part of the PokerVIP 777 Rake Race promo, as if you needed ANOTHER reason to play there. Now that we’ve covered that big bit, I feel I should also mention that Unibet is both one of the best looking and best organized websites we came across in our search. It’s hard to put this into words and impossible to put it into numbers, but the Unibet interface is just a pleasure to play on. Some sites feel so haphazard, so tacky, Unibet is smooth, good looking, and just really well designed. It’s harder to compare these traits across the wide world of poker websites, but you know the good stuff when you see it. 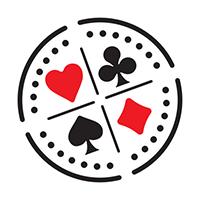 I’m really glad I was introduced to Virgin Games Wild Seat Poker, because it is not often I come across something this good so far off the beaten path. Really, I thought I’d seen them all, but Virgin Games gave us something a little bit special. The basic building block is a 4 player turbo SnG with a winner takes all prize pool. It’s fast, is simple, and it’s efficient, but this alone isn’t new. What’s new is the crazy mystery box they’ve tacked on that can multiply your buy-in by up to 1000! At the speed you're playing, that can $10,000 in the span of just a few minutes. And speaking of finishing the article, what’s that?!?! Is it a concluding paragraph? It is! After 2000k words and a host of games, deals, and site reviews, we’ve come a long way since we first clicked over to this article. I know we’ve all learned something, hopefully something that will help you get the best deal the next time you hop online for a round of cards. If you have any sites you want to mention, the comments section is the place to do it. Good luck to all of you, unless you’re seated across from me.